It has been three years since the GRAMMY-nominated band Building 429 released their latest project, Unashamed, and the band is thrilled to they have new music to share. 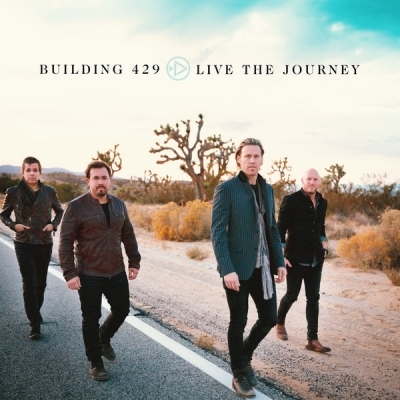 This new album from the band is Building 429 doing what they do best, which fans of the band will love. The band have been away three years but it’s good to have them back. It takes a lot for a band like them to go producing quality album after quality albums that their fans will love. Read More It has been three years since the GRAMMY-nominated band Building 429 released their latest project, Unashamed, and the band is thrilled to they have new music to share. For me personally I think opening track 'You Can' is a really powerful track. I also really enjoyed the song 'Assurance' and the guitar tone on 'Joy Unspeakable' is stunning. As I hope you can gather from the review there is so much to enjoy about this album! This is Building 429 making a quality Building 429 album that has some really lovely songs and moments. Not only are there powerful lyrics and memorable melodies, after a three year wait this is an album the fans will love.